Regardless of whether or not you adopt an eco-friendly attitude in your personal life, you should consider what the impact of your company has on the environment, your community, and the people who live there. Embracing an eco-consciousness with it comes to your business is not only a good move to shine up your public image (and potentially increase consumer approval and consequently, sales), but it’s also the right thing to do for the environment. Every company that operates publicly should make an effort to reduce their carbon footprint within the community that supports them. So whether you have a small family operation that only employs a handful of people or you’re responsible for running a branch of an international, multi-million dollar corporation that employs hundreds or thousands globally, you need to be socially responsible enough to look at your pollution and waste and make an effort to do less harm. One great way to start is with a waste assessment. If you’re not tracking your company’s waste, you could be doing more than just throwing away trash that could be recycled or using up unnecessary energy that pollutes the air and water; you could be losing a lot of needless money. By examining records (such as utility bills), doing company walkthroughs to see how materials are being used, and sorting through trash occasionally to see how many items are being wasted, you can get a good idea of the extent to which your business is flushing money (and the environment) down the drain. Ideally, you will find only a modicum of waste, but more likely it will be a landslide. Next, you need to go about repairing the damage. A good step in the right direction is implementing a recycling program, and if you do it right, it will more than pay for itself. Start by setting up bins around the office, workshop, warehouse, or storefront you operate for employees, clients, and customers to recycle. You can make separate bins for glass, plastic, aluminum, and paper, or simply put it all together for later sorting (although this seems like a form of waste in itself…a time-waster). Next, set up a pickup with your local recycling center or find a way to transport these items yourself. A pickup will likely cost you something, but if you do it yourself, you can earn back the money you spent on your setup by turning in your cans and bottles for cash (either by weight or by item). Perhaps you can even get employees to pitch in and put the money into an “office party” fund or donate it to a green charity. By the way, donations are another great way to help the eco-friendly community, and you can use them as a tax write-off. 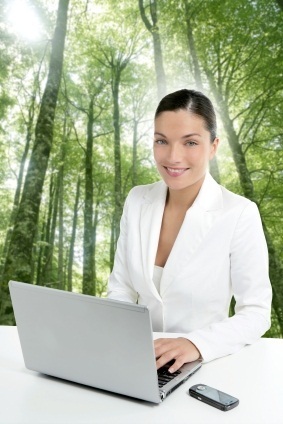 You should also make every effort to ensure that what’s coming into your business is just as green as what’s going out. Conserving energy or opting for sustainable alternatives is a great way to cut back on harmful pollution created by energy production, so use natural light whenever possible, set computer systems to go into sleep mode after a period of non-usage, install the insulation needed to cut back on heat and air conditioning, and think about adding solar panels on the roof of your facility (government rebates and tax breaks can reduce the initial cost and you’ll see a marked drop in utility bills). Doing your part for the environment doesn’t have to cost a lot, but it will take some effort on your part. Don’t shirk your responsibility in this area and your community, the environment, and future generations will all benefit (as will your business). Leon Harris writes for Ryson which specializes in bucket elevator conveyors and incline screw conveyor systems to help reduce your business operation costs. 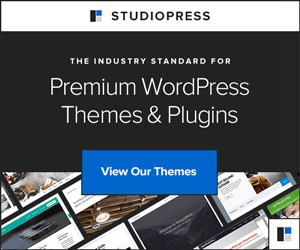 « Giveaway: Like Eco-Office Gals Win Studiopress! In general, conserving energy is more important than what type of energy you use. I recently was a juror for the Department of Energy’s Solar Decathlon, and the main reason that more than half of the houses could run purely on the solar power they produced was that they were extremely energy efficient. While I welcome your correction on the above guest post. I would first like to make mention that I am not the writer of the post, nor do I claim to be an expert on tax credits, therefore I would not have caught the mistakes. Thank you for informing my readers. Although, I am not sure my readers will make it past the unprofessional way you have attacked the post in order to actually learn from anything you are trying to say.